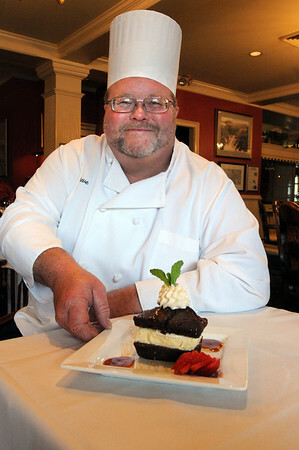 Steve Nelson, Executive Chef at the Hawthorne Hotel, displays a gingerbread sandwich at the hotel. The gingerbread sandwich is the hotel's Thanksgiving recipe. Photo by Ken Yuszkus/Salem News, Monday, November 15, 2010.